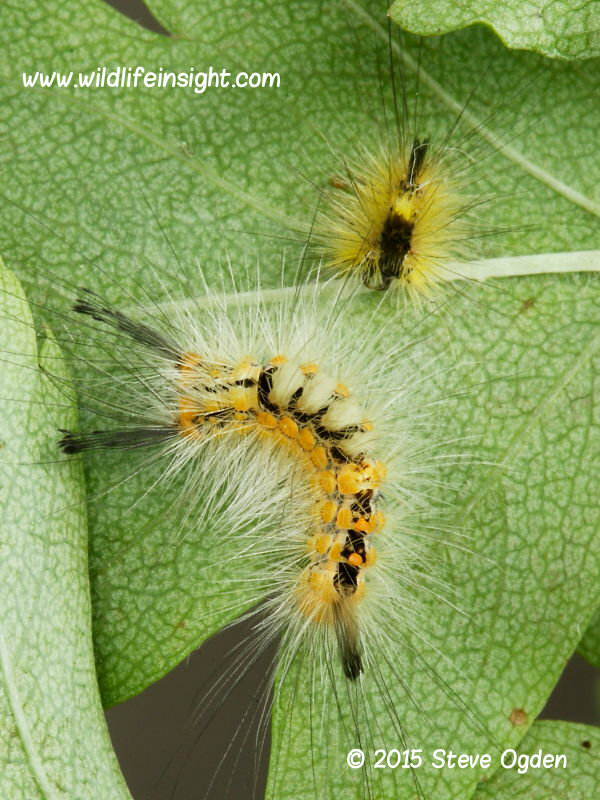 This guide to rearing butterfly and moth caterpillars (larvae) has been added to the Illustrated Guide To Caterpillars in response to the many questions received on how to rear caterpillars. By following these simple steps many caterpillars can easily be reared by anyone, regardless of age or experience. Watching a caterpillar feed, grow, moult, spin a cocoon, pupate and finally emerge as a butterfly or moth is to witness one of nature’s miracles. Many of us were inspired to learn more about butterflies and moths by our first experience of rearing caterpillars at a very young age. Indeed, an immense amount of our present day knowledge of the life cycles of moths and butterflies (lepidoptera) has been obtained by amateur and professional entomologists collecting and rearing caterpillars. Please note these are methods that have served me well. Others may have their own methods. Hopefully the steps outlined below will help others to get started. Personally, as well as finding rearing immensely enjoyable, the knowledge gained by doing so has greatly improved my understanding of the life cycles of many species and helped with identification of their early stages. This has been particularly helpful when out and about searching for specific species. I may have been at it a few years now (don’t ask) but it still seems as if I learn something new every day. One of the first things rearing taught me was how varied a single species of moth or butterfly caterpillar can be. As well as radically changing their appearance when moulting many also have widely contrasting coloured forms. And most of these coloured variations are not featured in any reference book. Shown above left are the brown and green caterpillar forms of the Large Yellow Underwing (Noctua pronuba). This is a common species in much of Europe and North America where the caterpillars are also known as cutworms. 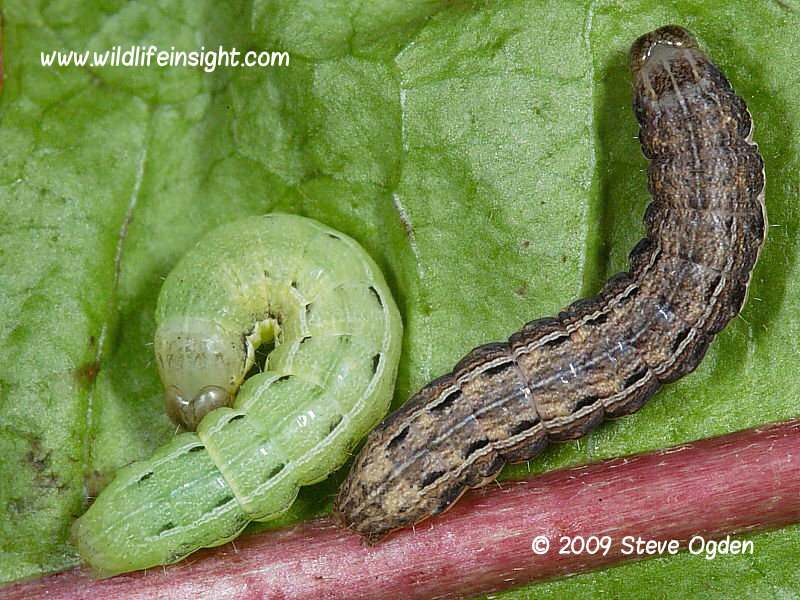 The caterpillar shown left is a yellow form of recently moulted Vapourer moth caterpillar (Orgyia antiqua). A species that’s widely distributed through out much of the Uk, Europe and the States. The caterpillar commonly shows some variation in colours but only in Cornwall does it appear to have this yellow form. This is only a fairly recent discovery and helps demonstrate how much there is to learn, even about common species found in comparatively well recorded countries. In many other parts of the world little is known about the larval stages of moths and butterflies. Rearing has also made me more appreciative of the high percentage of caterpillars collected from the wild that are parasitised. There seems to be an inexhaustable supply of different species of parasitic wasp and flies – all queuing up to exploit there own little niche in nature. 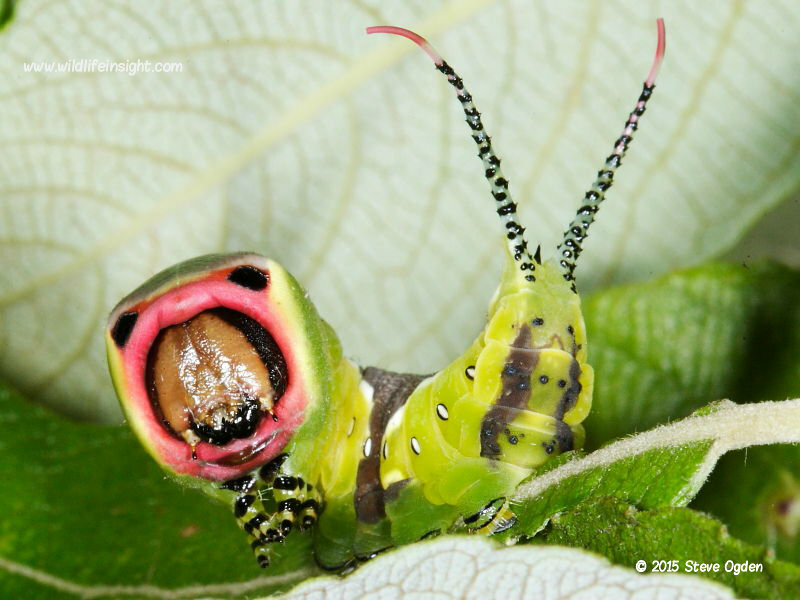 And these insects are not only bad news for the host caterpillar. Having spent months caring for a caterpillar only for it to explode with emerging parasitic larvae just prior to pupation can be very frustrating. Rearing may be fun and educational but looking for caterpillars is the part I still enjoy most – a little boy at heart. Planning a search for a species based on an understanding of its life cycle and habits is exciting. It draws you into visiting diverse habitats at different times of the year. Rather like following a map in search of treasure. A planned search led to this hatched egg of a Puss moth (Cerura vinula) and close by the tiny caterpillar. Frequently other species are found and not the one searched for which only adds to the anticipation and enjoyment. Understandably certain tactics employed during a search can be seen by others as being rather eccentric. Or, even sinister! The feeling of smug satisfaction on finding the targeted caterpillar can be difficult to justify to some. Walkers frequently stop to enquire about what species of butterfly I’m photographing but tend to avoid even eye contact as I emerge disheveled from the interior of a bush brandishing a stick and a white sheet. Dogs, though, are less fearful of direct engagement. Whilst on hands and knees searching long grasses I was once unceremoniously mounted by a cocker spaniel. Enjoy and learn but except an admission you have a deep passion for caterpillars is never going to inspire an avalanche of dinner party invitations! In many parts of the world an estimated 95% of species of moths and butterflies (lepidoptera) are yet to be described. 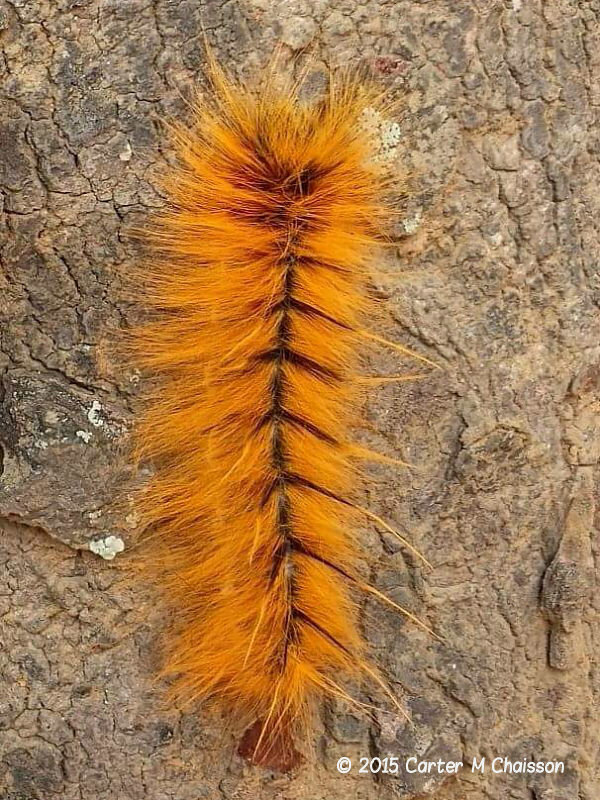 Little is known about even some of the most striking caterpillars. Many larvae just as outlandish in appearance as Pachymeta robusta shown left recorded by Carter M. Chaisson in Malawi are yet to be described. Concerted efforts are being made in parts of Asia and Africa to understand more by encouraging the rearing of caterpillars. And it is this aspect that really makes rearing so exciting – there’s so much to learn and anyone can contribute. Hopefully this introductory guide will encourage others to go on to discover more about this fascinating stage of a butterfly and moths life cycle. Only by improving our knowledge and raising awareness will it be possible to conserve these wonderful insects.